Well we have come to the end of the alphabet, letter Z - a brilliant idea from Pat is Zesty colours - e.g. lime, orange, lemon. 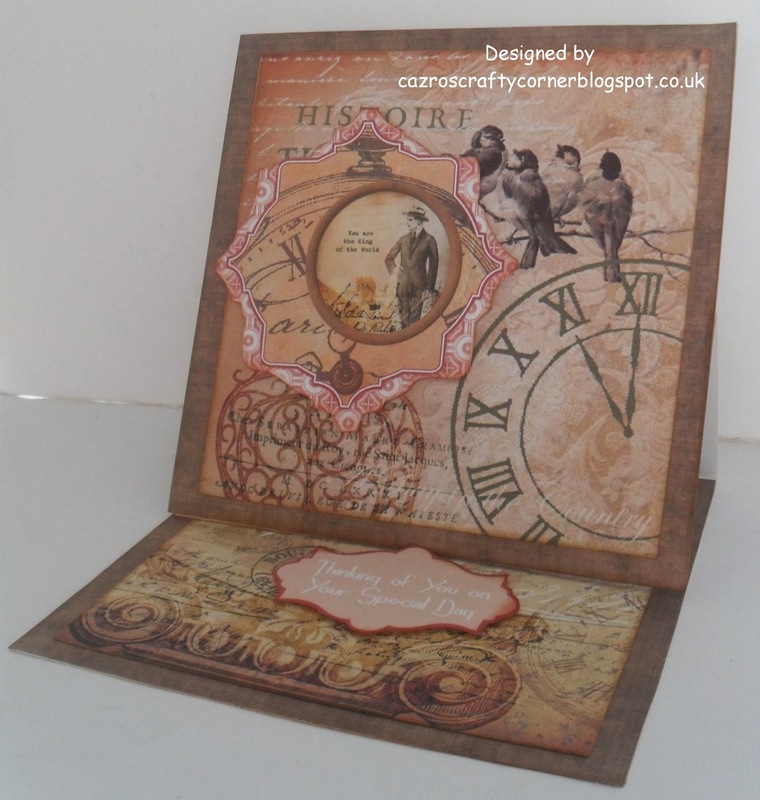 I have used card from a Boho Chic pad of Zesty spring colours, created a layout for them, onto which is a print out from a fabulous CD from Creative Crafting World in conjunction with Crafty Sentiments who have produced 'Here Come the Girls'. 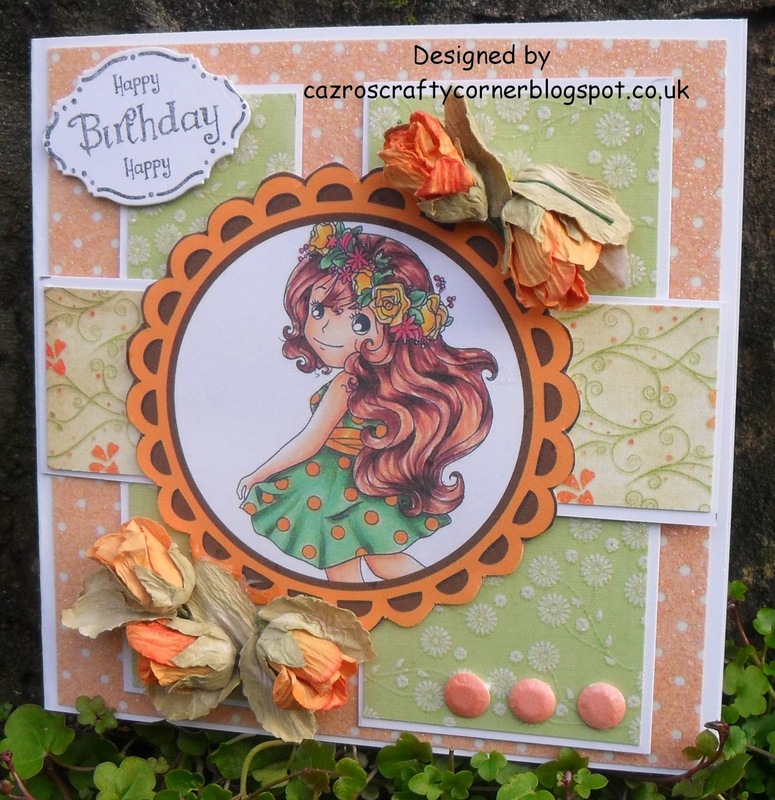 Embellishments are paper flowers and leaves, Card Candi - white which I coloured orange with a Promarker. Greeting is a stamp and die from Go Kreate. Hope you all have lots of fun, I think we all need some bright cheerful colours at present, especially with the dull dark days we are experiencing int he UK and the dreadful snowy conditions in many parts of the US. Don't forget we'll be back in two weeks time to start back again for another year of the alphabet - beginning of course with the letter A - now I wonder what it will be? This time of the year the Chinese celebrate their new year, and as we know, their years are always celebrated with the qualities of an animal. 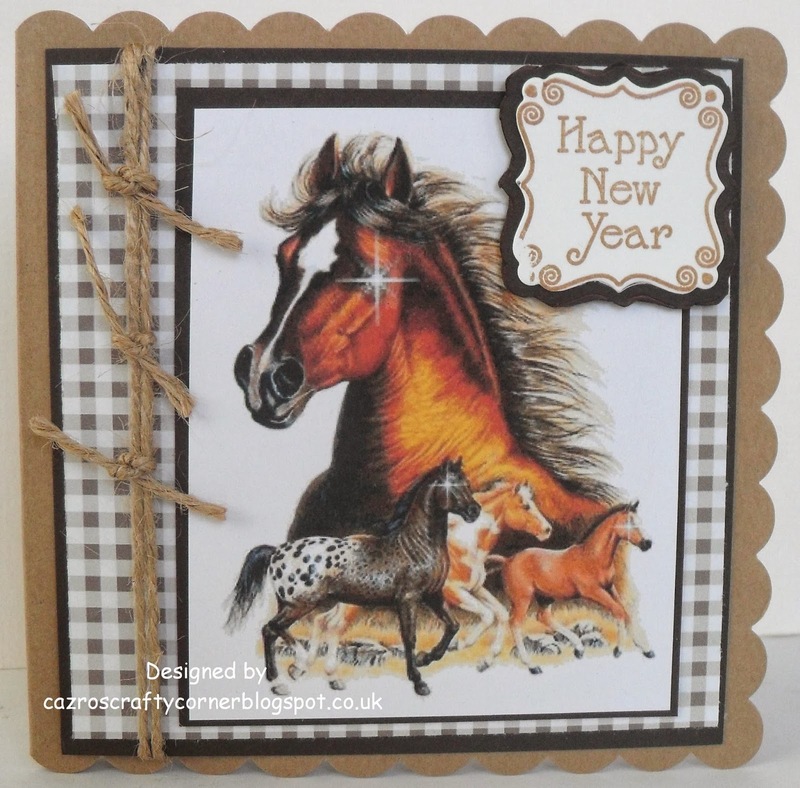 2014 will be the Year of the Horse, so we at Cardz 4 Guyz would like to see for this week's challenge, either anything to do with a Chines New Year, anything celebrating horses, or a combination of both as I have made for my Design Team inspirational card. Though I have both a confession and an apology to make. Firstly the papers with the writing on is actually South Korean, the medallion is Chinese though I don't know if it's Cantonese or Mandarin. My apology is to both the Chinese and the Koreans for mixing it up. A very good friend of mine has a SIL who teaches English in S. Korea, she has kindly passed some of these wonderful papers onto me. I hope you have fun with this challenge and look forward to visiting you all. Gentleman on Horse from pack of Playing Cards. 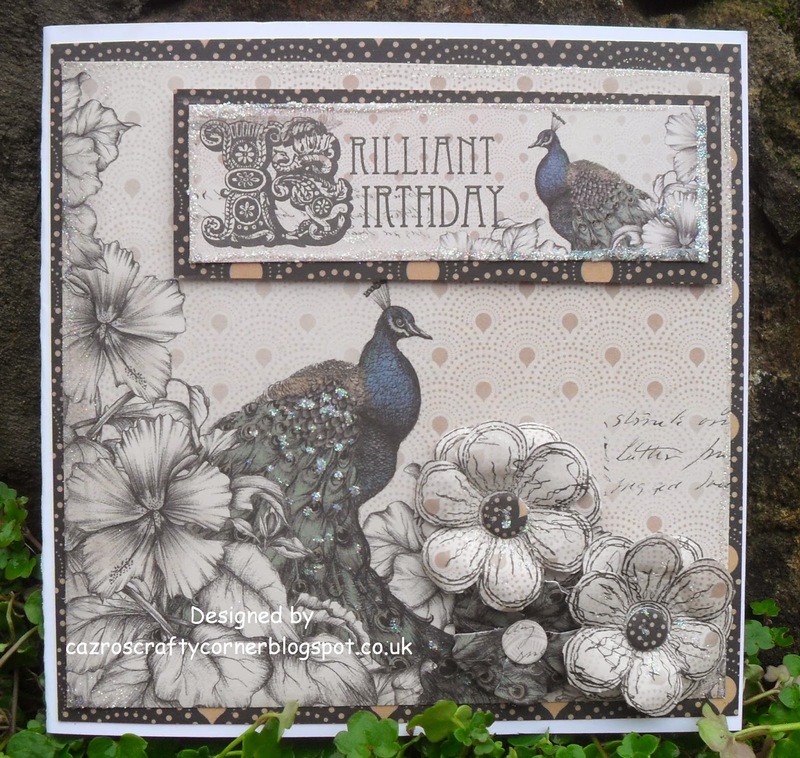 Go Kreate Large Scalloped Square die. 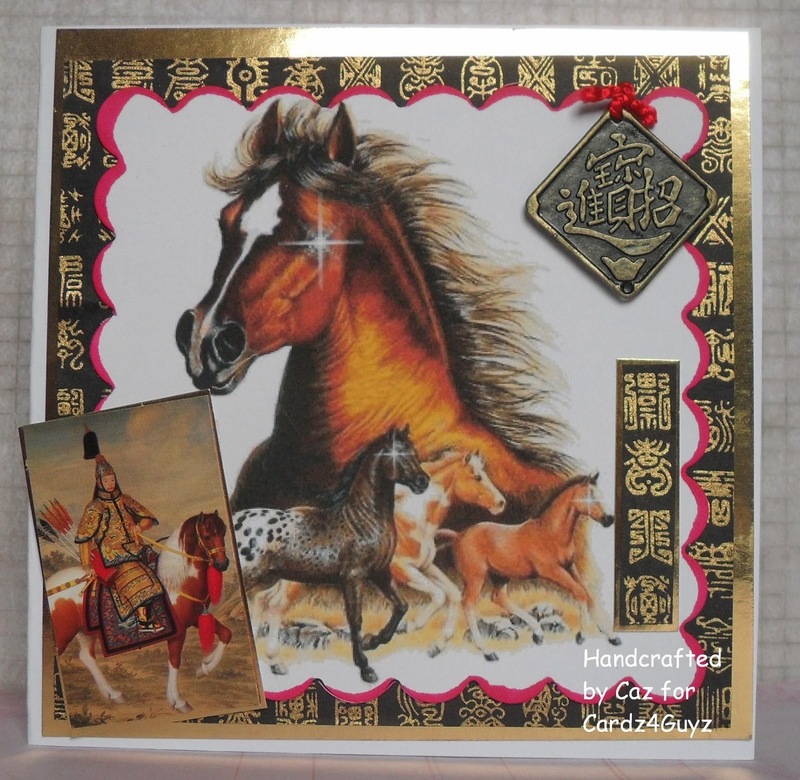 Time for Team B at CD Sunday Challenges - the Chinese New year will be celebrated on January 31st, so Jocelyn has appropriately chosen for your challenge this week Year of the Horse. So everyone it's time to get out those CDs, you may already know which has the topper your needing, if not search time ahead. 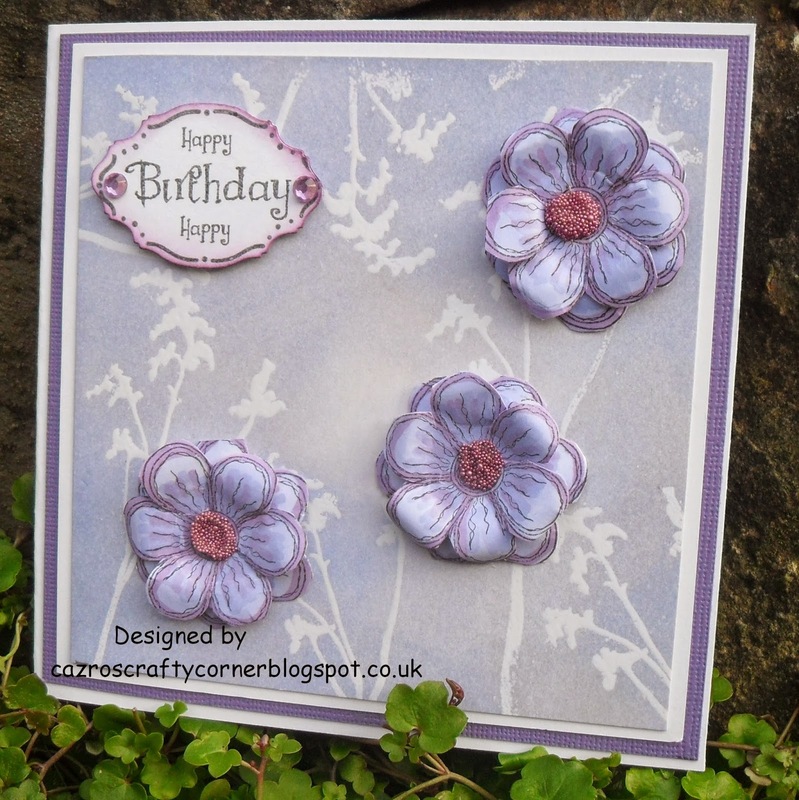 I had great fun making this card, for though I decided on simplicity, it was so different to others recently made. Sentiment and die from Go Kreate. 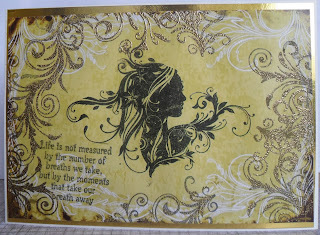 This week at My Time To Craft we are being challenged to provide Two Images on One Card. At first it seemed an easy challenge, then for some reason my creative juices just froze, even we on the Design Team struggle at times, but not to be beaten, for a challenge is exactly that, a challenge we must meet head on. Go Kreate birthday greeting and die. 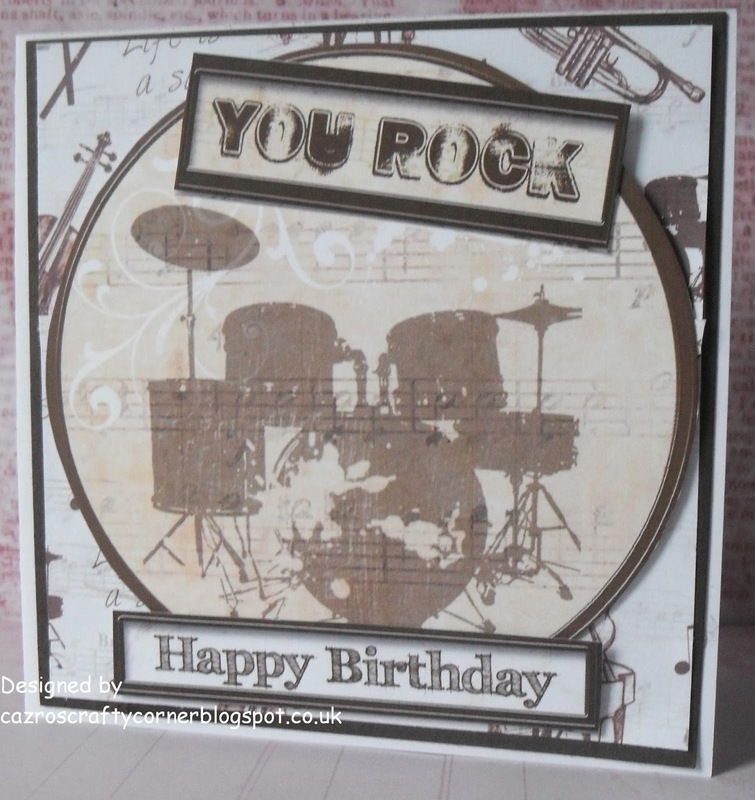 I do hope you like this card, enough to inspire you to enter the challenge, looking forward to seeing your cards. have fun everyone. 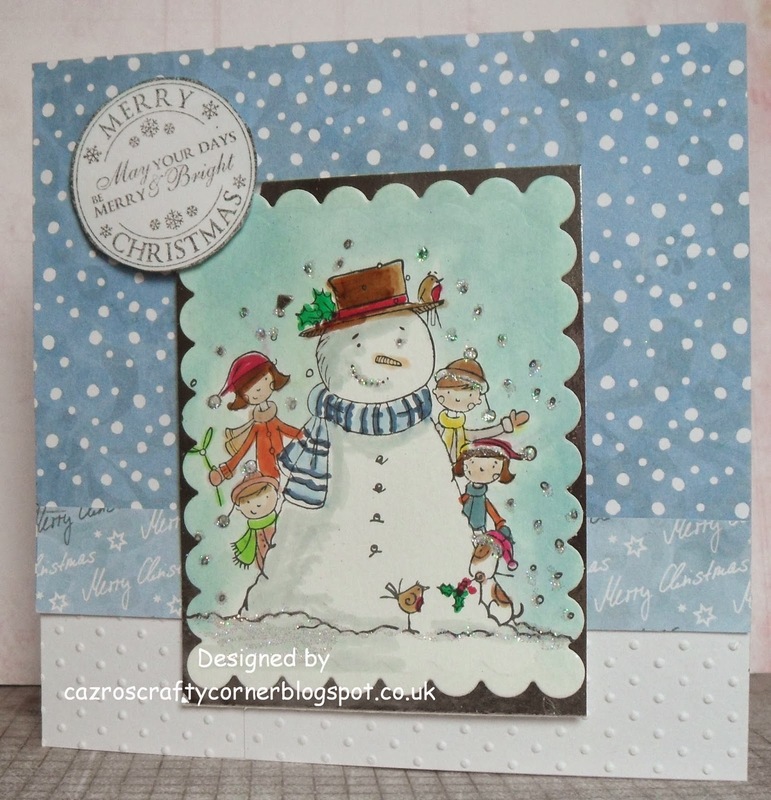 ABC Christmas Challenges are asking for B - Bare Essentials, simply to withhold the usual amount of embellishments and to keep the card as bare as possible. It did feel strange not adding anymore to this card. Well, here we are our second outing at Cardz4Guyz , thanks to everyone for the wonderful support last week for our first challenge. don't forget to pop to the challenge blog to see if you are in the Top 3. Jan has chosen the theme for this week which is MONOCHROMATIC - you choose ONE main colour, you can use many shades of the same colour, but for contrast, shade texture or depth, you can use muted tones, such as white, black, grey, kraft, beige or similar. 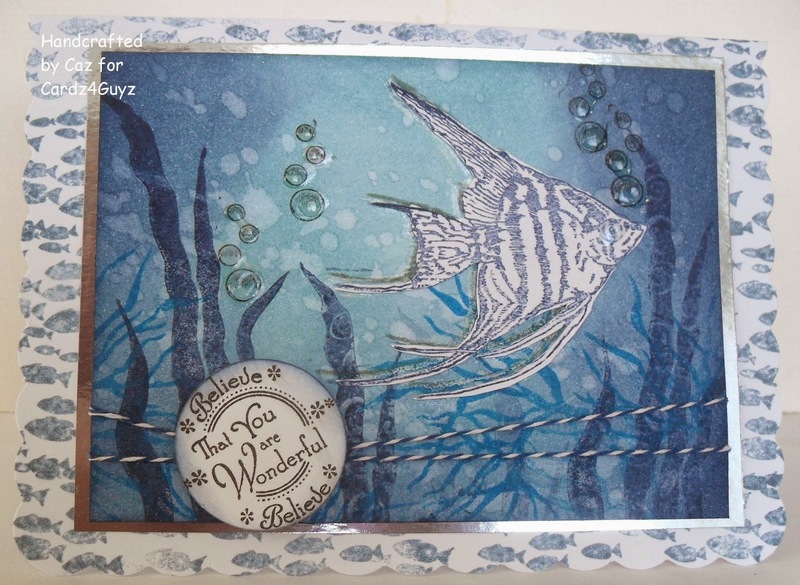 I have recently purchased for a late birthday present, undersea stamps from Shena Douglass, I couldn't get to use them quick enough, though I still have lots and lots I want to do with them. Sheena Douglass - Hidden Stars and Underwater Angels. 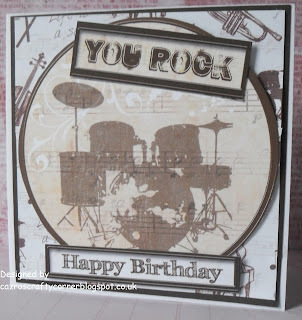 I hope you like the card and will pop over to be inspired even more by the Design Team with their Monochromatic treasures. Thanks for popping in, your visits are always a pleasure. We are so looking forward to this second challenge, it was so heart warming to see such a wonderful response for our first outing, many thanks for the support. See you all soon. 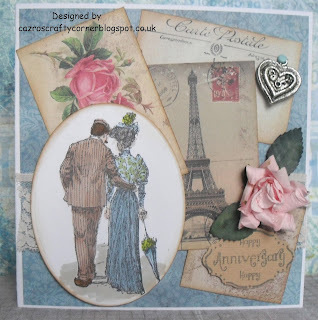 Over at My Time to Craft for the next week our challenge is - All About Love. Time for a little romance. Blue BP and cut up elements from Madame Payraud's Designed paper pad. I look forward to visiting to see your creations which are All About Love - have Fun. For the next two weeks we at Alphabet Challenge are challenging you to providing an entry for the letter Y - this was my choice and I opted for Young One or Youth whatever you wish. I hope you enjoy this challenge. A ribbon, card candi, DI Worn Lipstick. I hope you have fun, i am looking forward to visiting you to see your creations. Thanks for popping by. Vogue Collection and Die Cut sheets. and this will be the prize for the lucky winner. challenge which is 'HAPPY BIRTHDAY'. 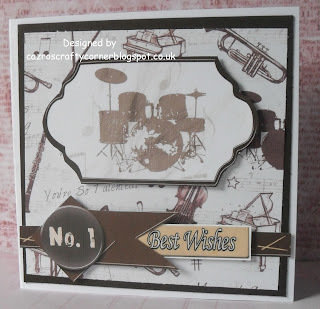 The challenge blog as you will find is for guyz of all ages, for my first card for the blog, I chose a favourite stamp of mine for guys for it in itself suits all ages, from the age of being able to read or hide behind a book. 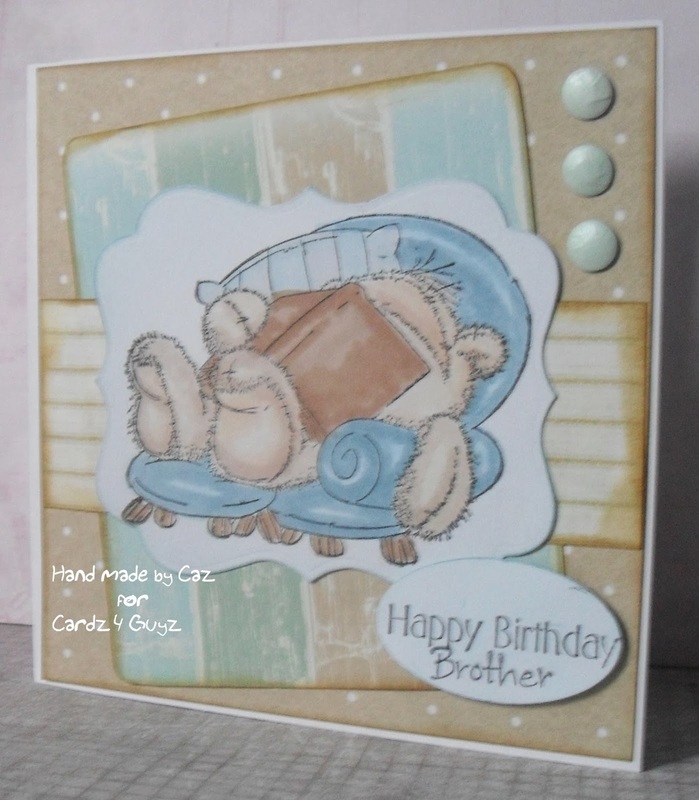 I do hope to be seeing you over on the blog, we all need male cards at some time or another, so why not at least pay a visit and have a go. Thanks for popping by here, I always look forward to your comments and appreciate everyone. If you joined us last week at CD Sunday Challenges you would have read how we are still a weekly challenge blog but the team has been divided so we can each share a week on and a week off, last week were Team A and I am here along with Team B. I would first like to wish everyone of you a very happy new Year and mostly for those who have suffered through illness or caring for those in need, my thoughts go with you, hoping this year will be less stressful and show signs of either settlement or improvement. So, for the first of Team B's challenge we thank Wendy for choosing Tantalizing Turquoise - a very nice and I believe a popular colour. 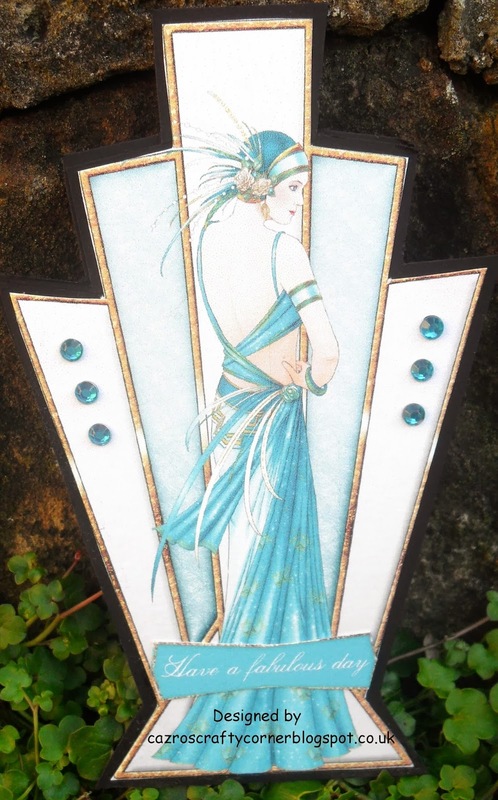 I do like shaped cards and some do suit it more than others, with Art Deco I thought this card really suited being shaped around the design. 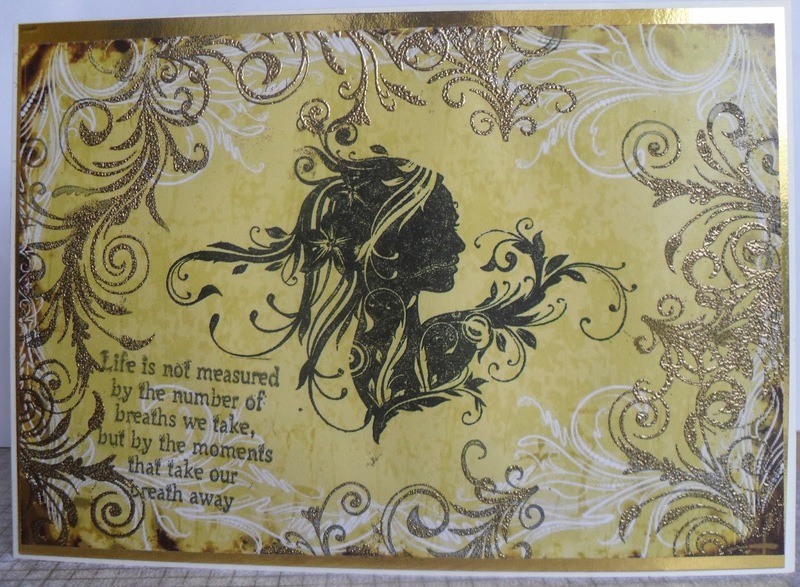 I downloaded the main image, which is the complete front of the card, cut it out and stuck to a heavier black card, then I drew around it on another piece of the black card. Cut that out, matched the two up and marked across the second curved shape, scored this. Then I glued only the upper part of the shape, for the card to open and stand. 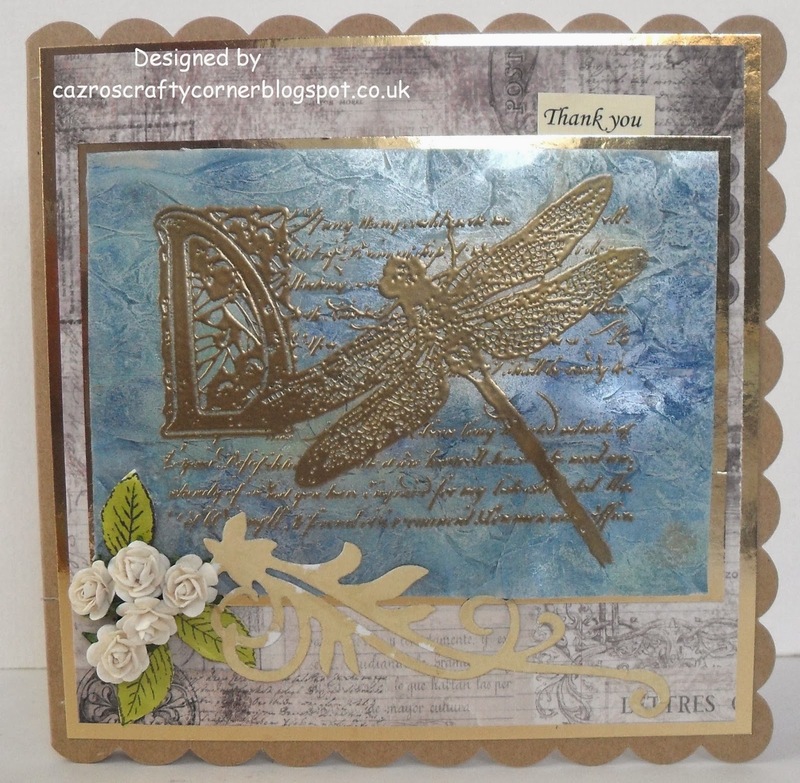 The Design Team have some wonderful inspiration, so please do pop over to see the blog and hopefully, I'll be visiting and commenting on your Tantalizing Turquoise card which for our challenges must have something or everything from a craft CD. 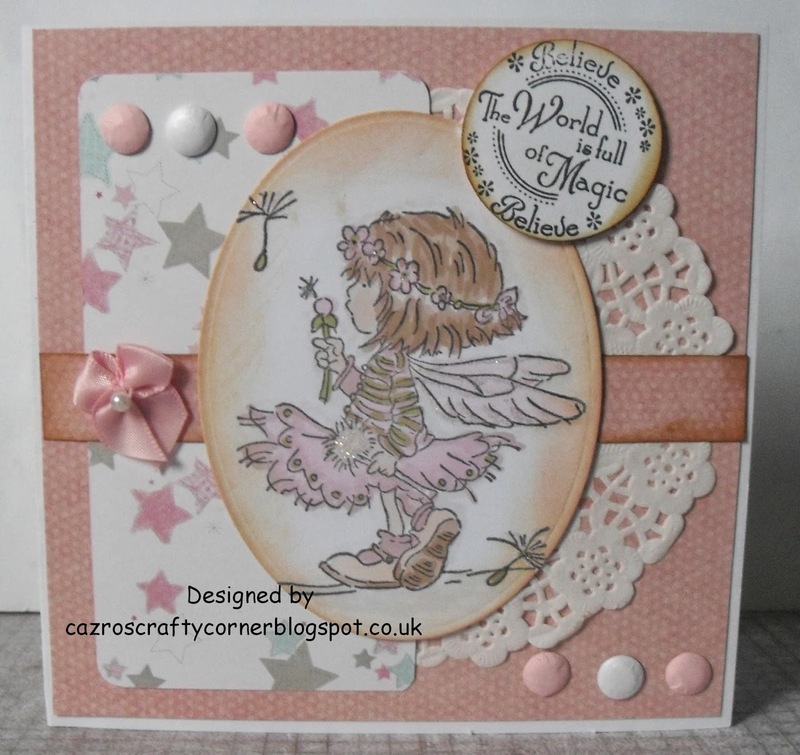 At My Time To Craft (MTTC) this week we are challenging you to make an easel card. There are so many variations on this theme, so you have lots to choose from. My thoughts these last few weeks have been focused on those in the UK who are suffering from the amount of rain, the damage it has caused and the flooding. We also have lots of blogging friends in the USA who are also suffering dreadful snow storms and freezing temperatures. My best wishes to you all and may all your inclement weather problems be soon over. Kraftyhands CD. - Man About Town. DI Frayed Burlap and Vintage Photo. 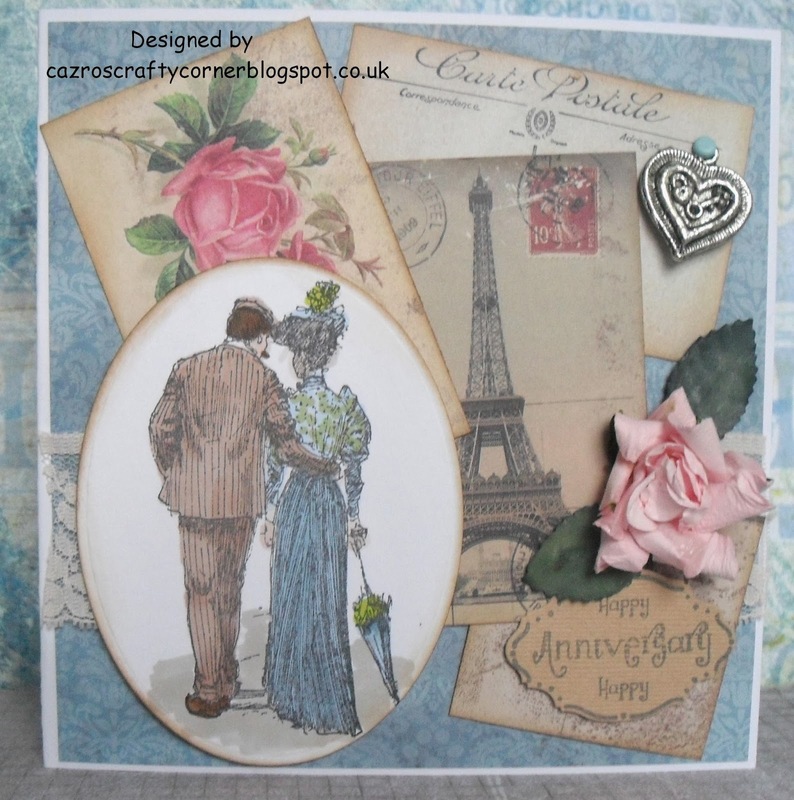 I look forward once again to visiting your blogs to see your Easel Cards - hope you have lots of fun. At last Fantasy Stampers has arrived. Good luck and best wishes to my good friend Jan Brown who is venturing into blogland with her own challenge blog. 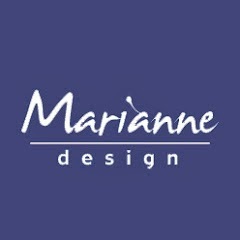 I am so thrilled to be part of the Design Team. Jan has decided she would like to have more members on the DT, all you have to do is to join in the challenge and add DT on your entry. For the first challenge Jan has given something which we will all enjoy - Your Favourite Stamp. 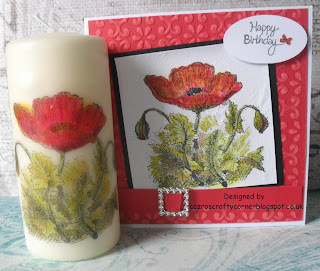 I have so many so it wasn't an easy choice for me to choose, but poppies are one of my favourite flowers. I do love this stamp so decided to make a card and to decorate a candle for a small present. I used the Faux Silk/Linen technique on the card. I look forward to visiting the entries during the first challenge, we are hoping to see many of you popping onto the blog and would welcome any comments on the challenge blog and of course on own blogs. White base card + Black card - Red Core-dinations card. Happy new year to everyone. This week at My Time To Craft our challenge is to be either Influenced by Music or Movie/s. So many ideas for this challenge but I do love music, many types of music. I love the beat of drums, all forms of drums, little and large, orchestral or rock, so for me, it was an easy choice to turn to a Debbie Moore CD - Shabby Chic - Music. I managed to make two 5.5 square cards from one design sheet and one backing paper, with still more embellishments available. Have fun everyone, and please pop over to see how the wonderful design team have met the challenge. Hi everyone. I am so pleased to announce my design team are ready to go for the new challenge blog which is ready to go live on TUESDAY 14th JANUARY. I am so hoping you will join us at Cardz 4 Guyz. I would like to thank everyone for their patience in getting this started, I am now getting very excited. Firstly where ever you may be I wish each and every one of my visitors and followers a very happy and a healthy New Year. So close to the end of the alphabet at Alphabet Challenges - for the first week in 2014 we have Xtra- Ordinary and we need to X-plain why. I'm not really sue whether this card would be X-plained as being Xtra ordinary, but I know I had great fun making it. Looking forward to visiting you again, please have some fun making your extra-ordinary card. Don't forget you need to pop over to the main blog for all the details and see what the Design Team created. 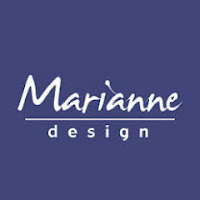 I am thrilled to announce I will be joining Jan Brown, a very dear friend, as a Design Team member, in her new adventure when she opens her own Challenge blog - 4th January. If you pop over to the blog HERE you can read all about it. Jan is currently looking for more Design Team members. If your new to blogging, or not, but fancy having a try as a DT member, newbies will be considered for Jan would like to help enthusiastic newbies to get on the ladder of being a DT member. However if you have experience of either being a Guest Designer or a Design Team Member , you too will be equally considered There will be a wide variety of themes for challenges, Fantasy is the name not the style. A new year, a new blog a new adventure. If you have for a new year resolution, to improve, to try something different or new, this is your chance to take that step.